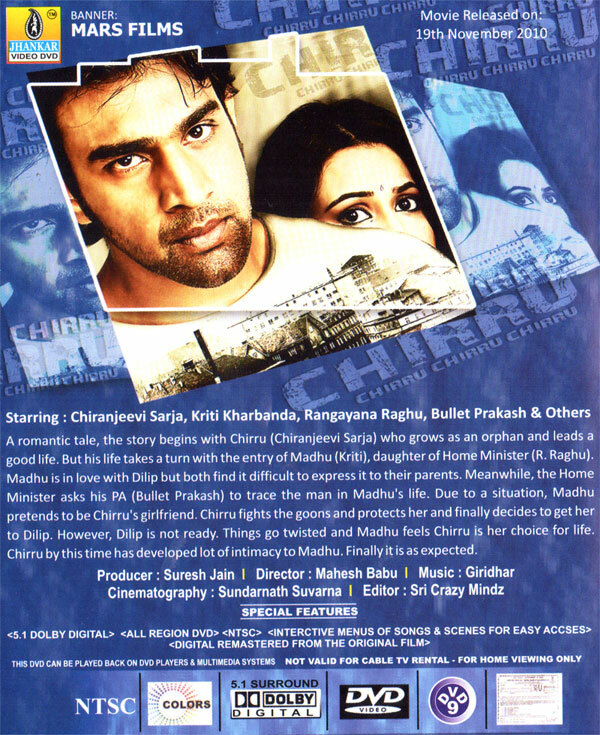 "Chirru is for die-hard romantics"
Chiru (Cheeranjivi Sarja) is a happy-go-lucky guy, at least until he comes to Bangalore where he runs into Madhu (Kriti), the daughter of the state Home Minister. Following a prediction by an astrologer, the minister is out to find out if Madhu is in love. She is in love alright but is Chiru the man of her life like her father believes, or is it just that Chiru is at the wrong place at the wrong time? Chiru is your run of the mill love story, Watch it today.